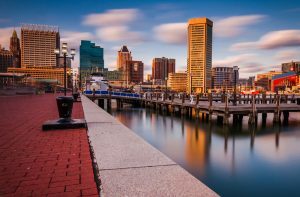 Moving from Philadelphia, PA to Baltimore, MD? Baltimore is the largest city in the State of Maryland, with a population of 620,000 people. This city with its unique charm can be a great choice for your next vacation. Here, in the Harbor area, where all the city’s fun centers, you can watch open-air concerts, street entertainers, and fireworks. The surrounding neighborhoods offer a lot as well. Visit local restaurants and shops and grab a beer in a pub. Check out the Babe Ruth Birthplace and Museum and the American Visionary Art Museum. You even might find yourself in love with Baltimore and want to move to this charming place. If you do, do not forget to plan to ship your car. Our company will be happy to help you with moving your vehicle from Philadelphia, PA to Baltimore, MD! It is not a long way from Philadelphia to Baltimore. It is a bit over a hundred miles, so it would take you around two hours to drive between these cities. But there are times when people do not want to add another hundred miles to their car’s mileage. For instance, if you own an exotic car, you might not want to take it on a two-hour drive. In that case, we know how to help you! Use our exotic auto transport services to safely ship your vehicle door-to-door. We will deliver it in an enclosed trailer, making sure it is shipped quickly and securely. Another reason you might need to ship a car from Philadelphia to Baltimore is that you perhaps purchased a vehicle from a Philadelphia car dealer. We will be happy to provide you with dealer auto shipping and deliver your new car straight to your door! Get free quotes on Philadelphia auto shipping today. We will be happy to ship for you!